Emotions and business usually don't mix well. However, in my case with FTF, I've thrown that unwritten rule out the window. I let my emotions and intuitions guide my decision making all the time. I don't always do what makes sense at the moment. I do what feels right to get us closer to my ultimate vision for the organization. The lesson is this...Robots can't achieve goals or build businesses from the ground up. People do. 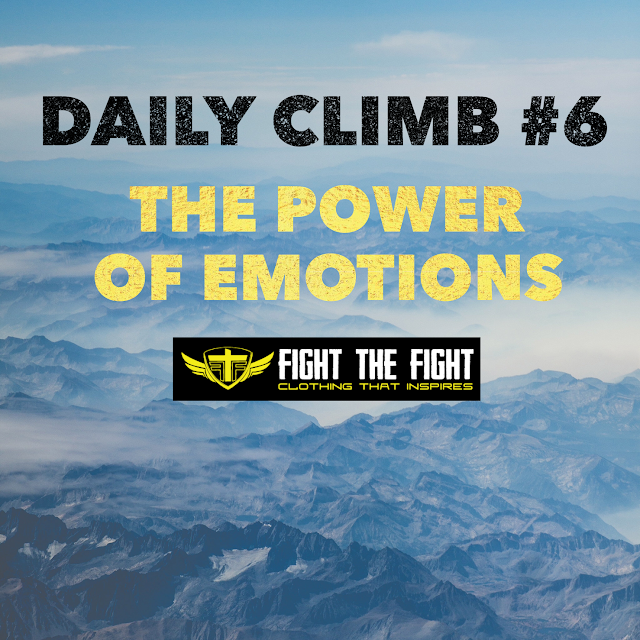 Whatever goal you are trying to achieve whether it's fitness, business, relationships, or anything else that takes a large amount of work over a long period of time, don't shut your emotions out. LET THEM LOOSE. Listen to them, and if you are a good person with a good heart deep down, they will guide you in the right direction. When I get stuck in a rut and don't know what the next move should be to get out I don't look down. I look inside myself and simply do what feels right. Sometimes it's not the best way. Sometimes acting off of emotion causes failures. But I don't think doing things any other way can ultimately lead to a life of happiness and fulfillment!